Do you want to make a pilgrimage? Pilgrimages are a historical Christian Spiritual Discipline, and they continue to be spirit and life changing for contemporary practitioners. 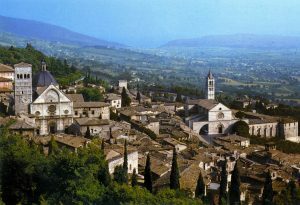 Join us as we team up with travel experts and provide Spiritual Pilgrimages from places such as Iona and Assisi. These pilgrimages are led by our team members who are experts in the area, history, and theology that we are exploring. Pilgrimages include opportunities for both education and contemplative reflection. Click here to contact Douglas Gregg to learn more about our upcoming pilgrimages.